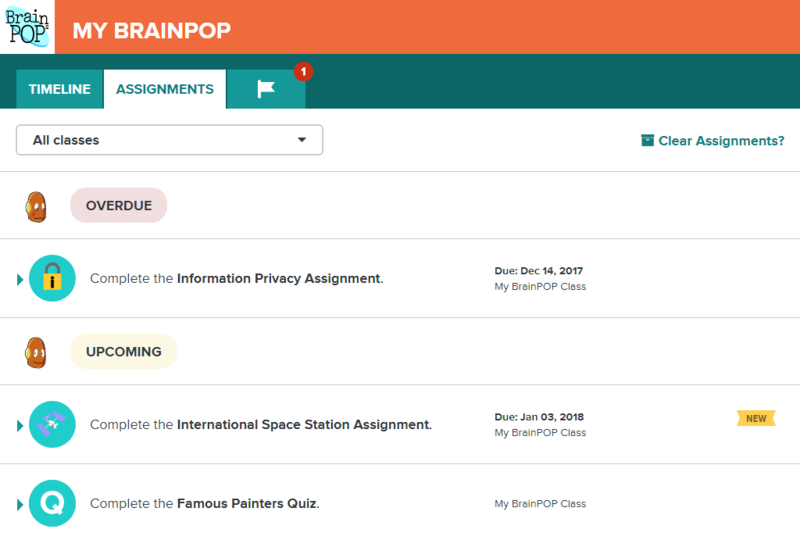 Students with My BrainPOP student accounts have a Notifications View that lets them know when they have messages from their teachers regarding assignments and feedback. NOTE: Teachers can send feedback on open-ended work, such as Make-a-Movie and Make-a-Map. Students receive a notification alerting them that a teacher has submitted feedback. They can view the feedback by clicking the link within the notification. Students log into their My BrainPOP student account. A red notification on the My BrainPOP tab and a prompt alerts students to the notification. Students click the Notifications tab to view notifications from the teacher, such as feedback on their work or changes in a due date. 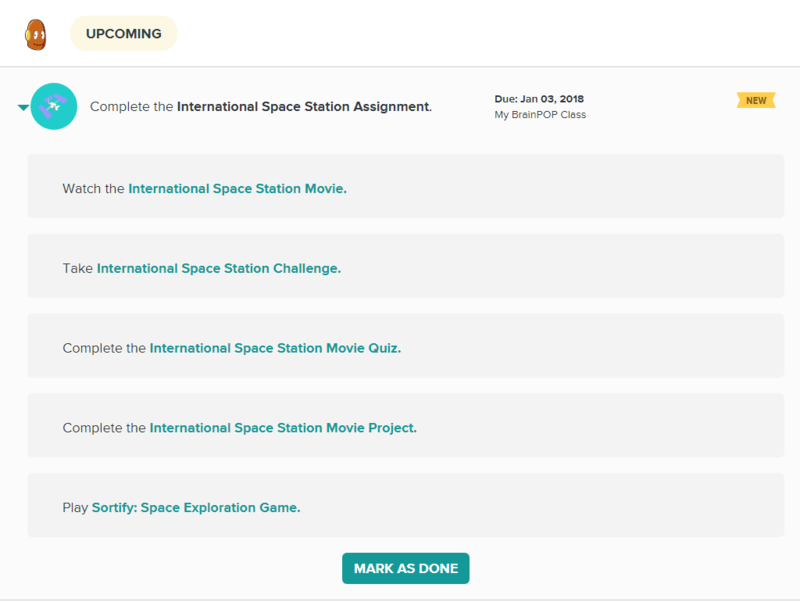 For assignments with multiple parts, students can click the Assignments tab and click on an assignment to see all its items. How long do notifications stay on the notification tab? Notifications are stored for three months, after which they are cleared from the student’s notification tab.